There is no reason to limit leadlight to windows and doors. An Art Glass Sculpture means you can have beautiful leadlight wherever you choose to put it. The sculptures are suitable for indoors, the garden, patio or anywhere there is light! The leadlight panels are produced using the same time honored techniques as have been used for centuries. It is an ancient craft. The sculptures are made using Macrocapa timber. Some panels are also available in aluminium frames. 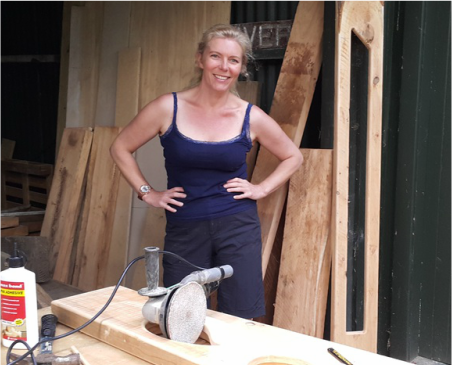 Rachel will often use driftwood or an unusual piece of slab and is very happy to use a customer’s own timber. If you have a special piece of timber you think might be suitable she will be happy to have a look at it and work out a design for you. Whether for pleasure or privacy, leadlight or stained glass windows are a beautiful and useful addition to a home or business. Totaranui Glass Studio designs and creates traditional and contemporary windows and doors. Windows can be installed single, double or triple glazed, or as infill panels (infill panels are installed on the inside of existing window glass and look no different to glazed leadlights). ﻿﻿Glass artist Rachel Pfeffer is renowned for her stunning sculptural glass art with artworks in private collections throughout New Zealand and internationally. At her studio workshop on the beautiful Kapiti Coast of New Zealand she produces absolutely unique and beautiful glass sculpture and windows. 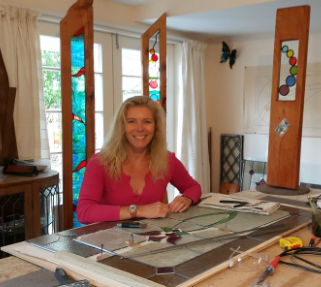 A visit to her studio is a must for anyone with a passion for sculptural art, garden art and leadlight. I absolutely love what I do and am passionate about each piece I create. Being a glass artist isn't all about flash and glamour, often its just plain hard work ! The Kāpiti Coast Arts Trail has been running for over 10 years. The trail attracts a variety of artists. Visitors can meet the artists and discuss the artworks and the artistic process.